Boquiren’s tasks were to prepare documents for Marcos’ signature, telephone cabinet secretaries and schedule appointments, and arrange the president’s overall schedule, among others. He was also witness to a number of President Marcos’ meetings, including two instances wherein he scolded and cursed two different government officials for corruption. Being one of FEM’s most trusted men, he also managed a portion of the president’s finances and was in charge of distributing salaries of the guards assigned to the Malacañang of the North in Paoay, Ilocos Norte, while it was being constructed. “But I have not even seen it since it was completed,” he added jokingly. Now at the age of 83, he is often confined to a wheelchair but still desires to visit Ilocos Norte to see the completed Paoay residence of the Marcos family. The Malacañang of the North today serves as an open museum of FEM’s life, works, and achievements. Boquiren also recalled how FEM consolidates data for his speeches, saying that the latter is truly a good public speaker. He describes FEM as a very industrious, intelligent, and studious person. He also criticized some books published about the former president as untrue, and pointed out how writers today are distorting information just to make headlines. Sgt. 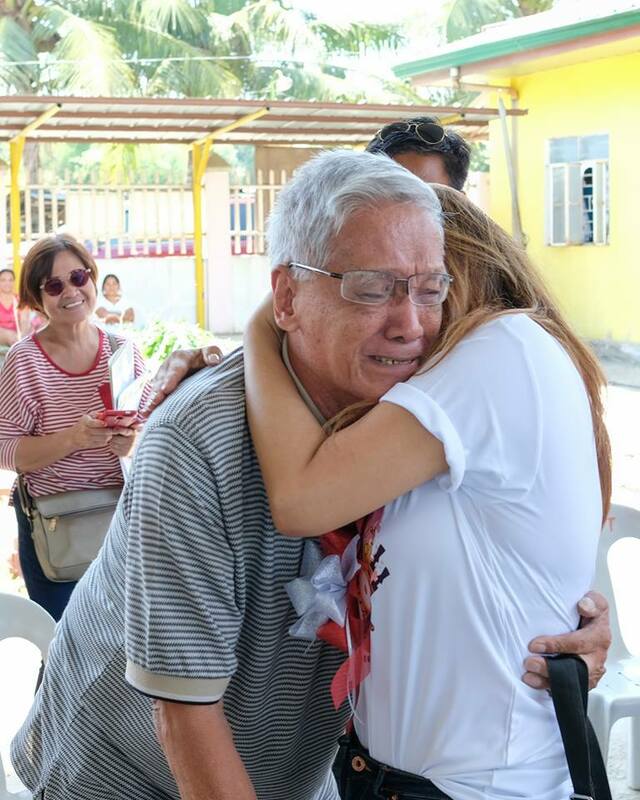 Arturo Boquiren is emotional upon meeting Ferdinand Marcos daughter, Ilocos Norte Governor Imee Marcos.